The 42-year old New Zealand native and globally designated terrorist Mark Taylor, who became known as the “bumbling” Islamic State recruit for the fact that he angered ISIS commanders for posting tweets with the location on, has been captured in Syria by US-backed Syrian Democratic Forces (SDF) and could be transferred back to New Zealand where he will likely face trial and prison time. He's long been on the US terror watch list after he “used social media, including appearing in a 2015 Isis propaganda video, to encourage terrorist attacks in Australia and New Zealand”, according to the US State Department. Taylor had entered Syria to join ISIS when the so-called "caliphate" was at the peak of its power and territory in 2014. The "bumbling jihadi" Mark Taylor, who constantly got in trouble with his own ISIS commanders, and spent three stints in ISIS jails. True to his media bestowed moniker of "bumbling jihadist" (and sometimes called "Kiwi Jihadi"), Taylor reportedly surrendered to SDF forces after fleeing ISIS in December because he was "in a pickle" with no money or resources to survive. New Zealand prime minister Jacinda Ardern also confirmed on Monday that Taylor had been detained by SDF fighters, but it's as yet unclear what the country's next step will be. 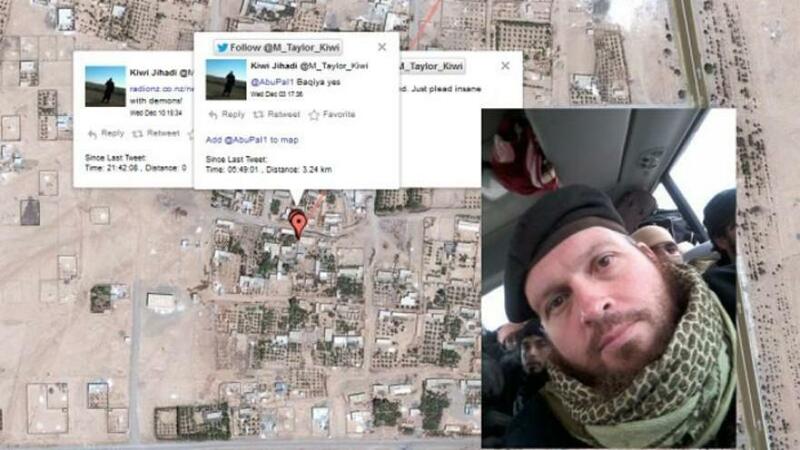 While in Syria Taylor had repeatedly called upon ISIS followers and sympathizers to conduct terror attacks in Australia and New Zealand, including knife attacks against police officers, as was the case in one well-known YouTube video he made. But perhaps the most ironic element to Taylor's time in Syria is that he was actually jailed three times for running afoul of Islamic State rules. "I had [become] more resentful towards the security of the Islamic State more than anything else. I was threatened with torture and jailed on suspicion of being a spy," he said to the ABC journalists who interviewed him in his jail cell. 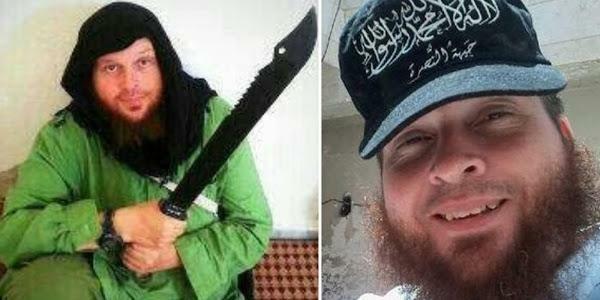 Referencing his third stint in ISIS prison, he said, "The last time was quite ridiculous. I was accused of drinking and making alcohol and smoking hashish." He was thrown in Islamic State prison another time after an October 2015 incident in which he gave away the location of ISIS positions on Twitter when he forgot to turn off the geotagging function. By his own admission he spent 50 days in jail for the blunder. In 2015 Mark Taylor tweeted his location inside Syria multiple times. "The Twitter account got suspended, and on the ninth of January 2015 I was given a letter by one of the officials and told to have a meeting," he said. "They took me into a room, took my weapon off me and anything else, like my mobile phone, which I never see again, and say 'you're under suspicion for 12 GPS locations around the Islamic State'." After the incident came to light in international press he was mocked and the object of scorn even among fellow jihadis. But his one main regret? He told ABC: "To buy a slave, you're looking at least $4000 American to buy an older woman, at least past 50-years-old." Absurdly and sickeningly he still laments not being able to afford a "decent" slave while in ISIS territory. "And to buy a decent one, at least (USD) $10,000 or $20,000." he said. "I was married to one Syrian lady from Deir Ezzor. Her name is Umm Mohammed. She begged me to leave and go to Idlib, then onto Turkey," he said. "One month after that I married another Syrian woman who was pro-Islamic State — much younger lady — but I divorced her. She didn't want to stay in my house; she wanted to move to another area and be close to her friends, not her husband. Taylor, aptly called the "bumbling jihadist," holds active New Zealand citizenship, making the issue of his return tricky and subject of a New Zealand investigation and debate. Prime Minister Ardern said of the case that New Zealand "has an obligation not to make people stateless," however she also added, "He would need to make his own way to a country where New Zealand has consular representation — something that, in his current situation, will be difficult to do." So it's unclear if he would be formally transferred as a US or SDF prisoner back to New Zealand anytime soon, or if as the prime minister suggests, he would have to "make his own way" back to New Zealand. In this case he would likely simply be detained indefinitely by US forces.